How could there be such disparity? With the sock puppets across the net making conflicting claims, it’s easy to get mixed up. Despite some claims to the contrary, the truth is no one believed oil would drop like a rock from roughly $115 a barrel to near $65 in 6 months…and then continue down to nearly $25 a barrel 12 months after that. In fact, this chart from the Financial Times shows what the “experts” were actually predicting in the midst of oil’s historic decline. 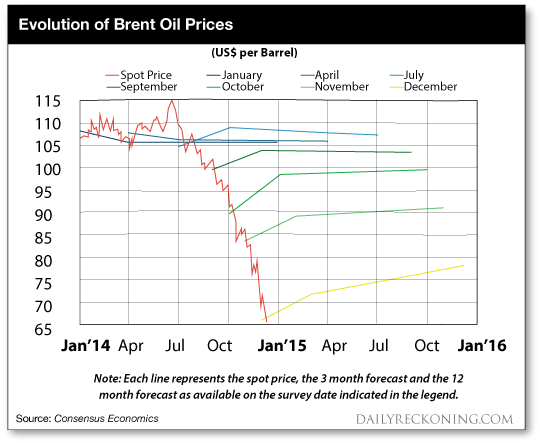 Notice that economists’ price forecasts kept changing as oil cratered. As you can see, the “experts” had no clue the whole way down. But while these forecasts were way off, there was a unique market insight taking shape in late 2014… and it made some people filthy rich. 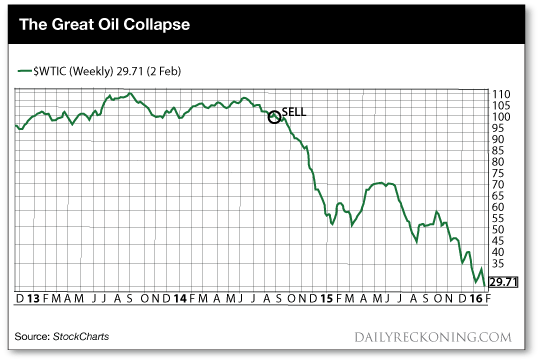 In late 2014, a downward trend in oil’s price action started. In fact, my proprietary system triggered an oil “sell” signal in August 2014, when oil was still trading at $95 a barrel. If you jumped on that price trend and rode it out, you had a chance to make a killing. 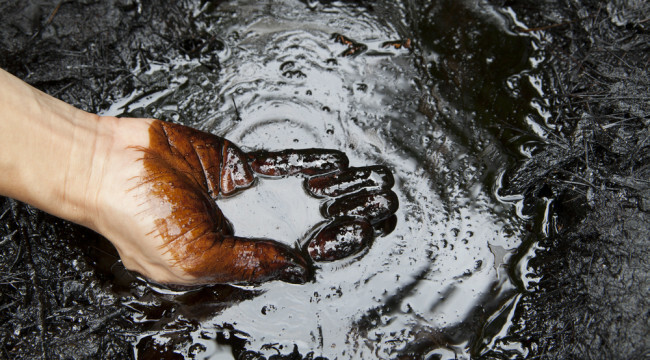 If you relied on economists’ forecasts, you missed out… or you got killed predicting an oil rise. To this date, oil remains in a downtrend according to my long-term trend following system. And that’s all you need to know. Remember, no one can predict with useful accuracy what the price of any commodity or stock will be in the future. The only thing you can know is the price action right now. For every so-called expert who thinks oil is going down, there’s another who says it’s going up. And all this adds up to is noise… which leads to the subject of my podcast this week. Today, I want you to listen to my conversation with renowned trend following trader Cole Wilcox. Cole is the CEO of Longboard Asset Management. And the reference to surfing in his company’s name isn’t by mistake. You see, a true surfer knows that it’s impossible to control or predict the action of the ocean. It’s far too complex and powerful… much like the market for oil. Great surfers find where the big waves are and ride them. They don’t waste time trying to predict the weather, winds and the many variables that control wave formation. And that’s precisely Cole’s approach to trend trading. He can’t control or predict the economy or markets. So like me, he doesn’t try. Cole sees a surfboard as a tool to extract benefits from unpredictable and often massive ocean waves… just as he developed a trend following system to extract benefits from the massive trends we see in the markets. Cole is a fascinating guy. He started from nothing. And by following a trend following approach to trading, his firm is thriving with nearly $500 million in assets under management. Please send your feedback to coveluncensored@agorafinancial.com. I’d love to hear your thoughts, whether praise of my work… or how my bluntness made you punch a wall today. Bring it on, I can take it.